Team Bath emerged from their Monday-night away trip to Surrey Storm with a win, a move back into the top four, a place in October’s Fast5 at the Copperbox and the opportunity to give a fuller squad on-court time. Team Bath’s Soldi-sponsored U19 and U17 teams were also in action at the weekend at Surrey Storm. Honours ended even with the U19s defeated but the U17s victorious 41-45 in a thrilling match. 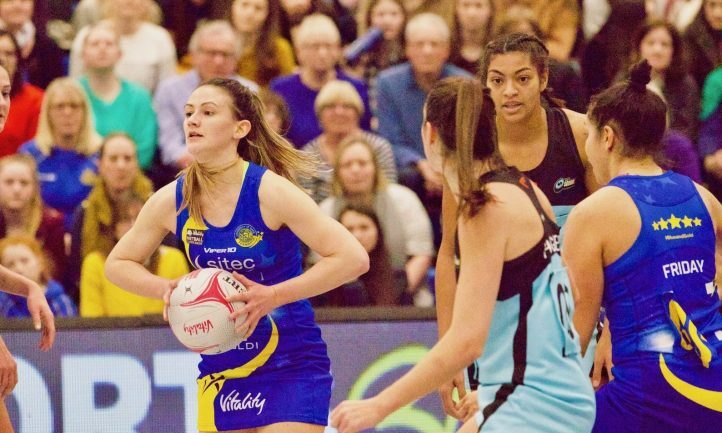 Tickets for the Loughborough match and the Blue & Gold’s final home game of the season – against league newcomers London Pulse on Saturday, May 4 (6pm) – are on sale now at netball.teambath.com/fixtures.